Jo is a fan of Bill Denbrough's novels. Johanna was deep in her ratty old easy chair, reading a book (not Maugham that night but William Denbrough, one of her contemporary favorites). 'Ooo,' she said, looking up and marking her place. 'Champagne, what's the occasion?' As if, you understand, she didn't know. 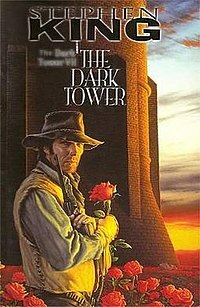 A helpful robot in the Dark Tower has the same nickname as Bill.